Internet marketing refers to the techniques used to promote your company online. You might also hear the terms ‘digital marketing’ and ‘online marketing’. Digital marketing and online marketing are simply different names for internet marketing. 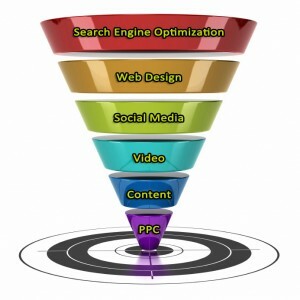 Your website is the foundation for your internet marketing. The objective of your internet marketing strategy is to drive visitors to your website and encourage them to buy your product or service. It’s important to remember your website is a marketing tool. It must deliver an ROI (return on investment). If your website isn’t increasing your sales, it isn’t earning its keep. Our internet marketing experts are here to guide you through the process of optimising your website, increasing your internet footprint, and subsequently boosting your sales and your ROI. Speak to us today on 0845 601 2237 or if you prefer, send us your enquiry via our contact form. We’re here to help and advise you. Have you heard of the term marketing mix? It describes the combination of different marketing techniques used to promote your business. All the elements of your marketing mix come together cohesively to further your business. With online marketing, you need the combination of strategies most suited to your business: this is your internet marketing mix. Every business is unique. This means it’s important to promote your business in a way that exactly meets your needs. Our philosophy at SEO Service Pros is to offer you only the services you need and want. There are no off-the-shelf packages. You can choose as many or as few of our internet marketing services as you like and we’ll help you put it all together and monitor the results. Contact us now at SEO Service Pros. You can send us your enquiry or call us on 0845 601 2237. There’s no obligation, just honest and transparent advice on every aspect of your internet marketing.